It's by my friend, the very funny and talented Bob Powers. Makes a great last minute gift/ stocking stuffer and, for my readers whom I won't mention by name here, it's a great book to learn to read with! 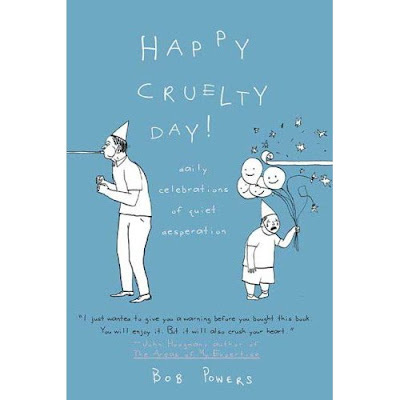 Seriously, based on Bob's great and popular blog "Girls Are Pretty", Happy Cruelty Day is an awesome, original, hilarious masterpiece from a very funny guy. Impress hipster chicks by reading this cool, orginal author!